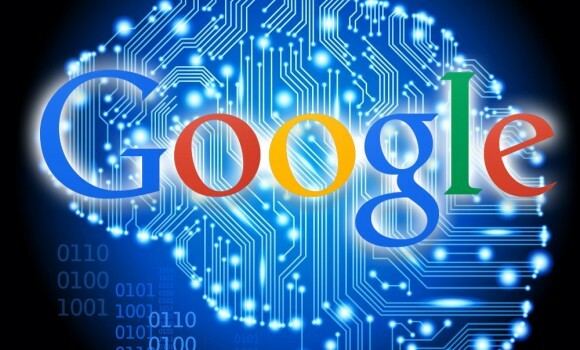 RankBrain is the artificial intelligence system used by Google to process the search results. It is important to know about how this learning technology works and fits to the search results hence following are some FAQs to get the sufficient information about this ranking technology. It is the name for a machine- Learning artificial intelligence system of Google that is used to process the search results, as per the report of Bloomberg and also confirmed by the Google itself. In it computer teaches itself about how to do something or how to process the search results with the detailed programming and in this machine learning there is not any role of Humans. Artificial intelligence is where computer can be smart like humans in the sense of acquiring knowledge either by being taught or from building on what it knows itself and making new connections. In the4 sense of machine learning both AI and RankBrain are fairly synonyms as it refers to the computers systems that are designed to learn and making new connections. Is RankBrain new way of Google ranking for search results? Not it is the part of Google’s overall ranking and is algorithm means a computer program that is designed to sort out the thousands o search pages and to rank the most relevant for particular enquiry. It is the name of Google‘s search algorithm. In the mod of 2013 Google overhauled that algorithm and gave it name. Is RankBrain part 0f Google’s hummingbird’s Hummingbird search algorithm? Do page rank is also Google algorithm? How Google ranks the different pages? These are Google signals that help to determine the rank of WebPages. For instance of the Google reads the words on page then these words are signals and of the words are bold then this is another signal and even the calculations used for the page ranks are also signals. How many signals are used by the Goggle? On average basis there are 200 major signals of Google with the 10,000 variations and the sub signals. Is the RankBrain the third most important signal? Yes. It is the third most important factor for ranking the page and it is the one of hundreds of signals of the Google that go into the algorithm to evaluate the results that will appear in the Google search page. What are other important signals used by the Goggle? It is generally assumed that links are the most important signals and then the words are important for Google search engine. This algorithm generally interpret the searches that people submit to solve any query to find the pages that might not have the exact words that were searched for. Do earlier Google was not having ways to find pages beyond the exact query entered? Yes earlier Google used to find the pages according to exact terms entered by the user but it has become smarter and interprets the search results according to the meaning and closet match results. How RankBrain refine the search results or queries? This algorithm or artificial intelligence system has made Google smarter enough by interpreting the search results and refining the search results as it return something relevant to the users for their search words wither by creating stemming list or synonyms list and even by making database connections between things. Does RankBrain help the users and Google? Yes it is making the big difference with the smarter answers and refined results, its interpretation is the third most important signal used by the Google in reflecting the results and even it helps to reflect the results for users with the most relevant results. When did this artificial intelligence system start? It has been introduced from the early 2015 and it is been fully live and global since last few months.